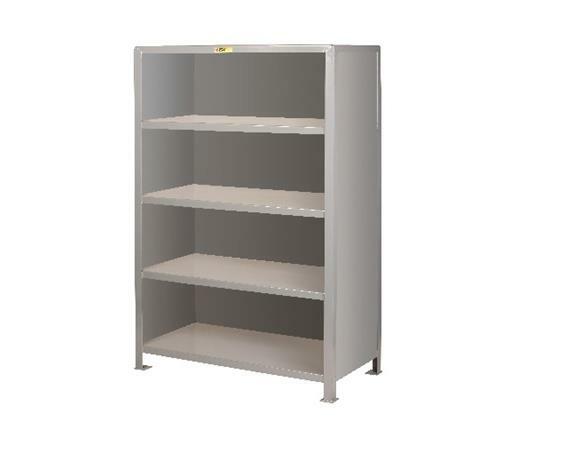 Heavy-duty, reinforced 12 gauge steel shelves have 2,000 lbs. 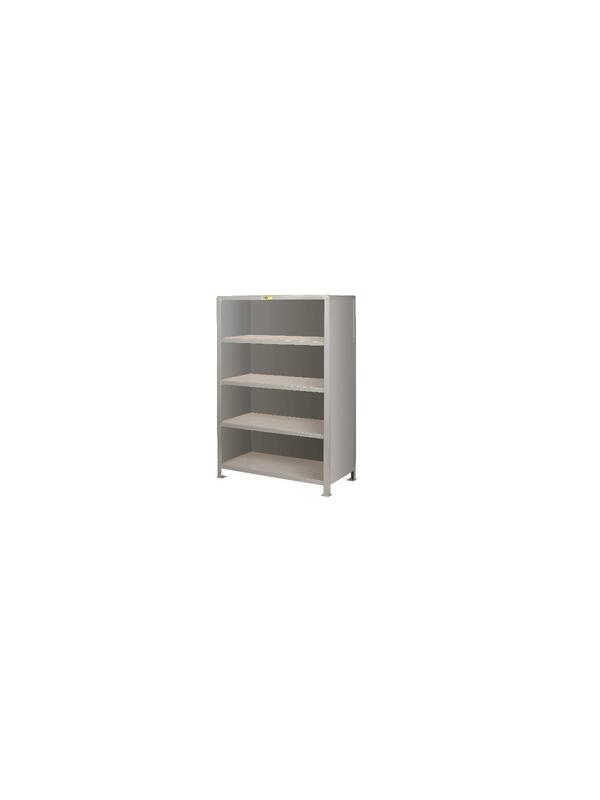 capacity per shelf and are enclosed on three sides to help protect and store your items. Solid steel sided shelving provides a clean and uniform look. 2" x 2" x 3/16" corner angles have footpads with anchor hole. 72" overall height with 3-1/2" bottom shelf clearance. 3 center shelves with 15" clearance between shelves. Built to last. FOB Shipping Point.